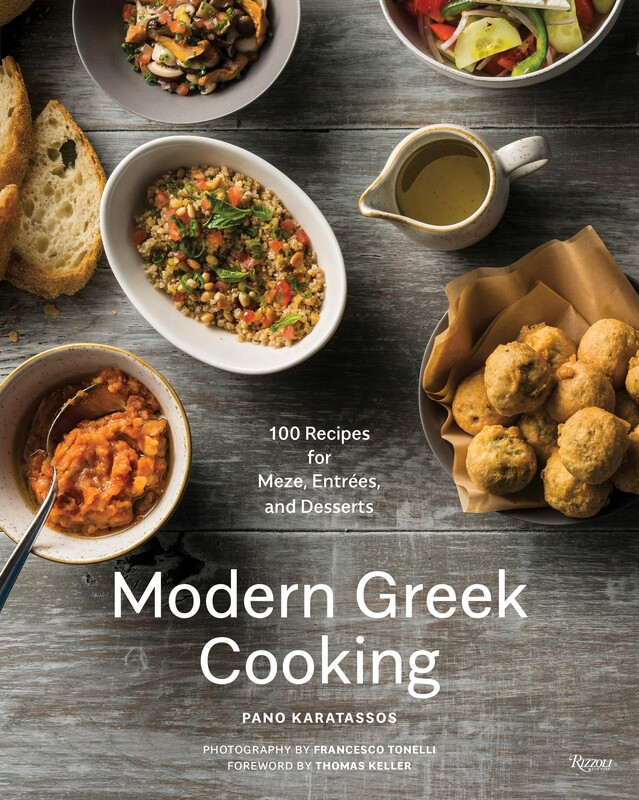 We are thrilled to be hosting world-renowned Atlanta Chef Pano Karatassos to promote his new cookbook Modern Greek Cooking: 100 Recipes for Meze, Entrees, and Desserts on Friday, February 1 at our Midtown location. (Sold out!) 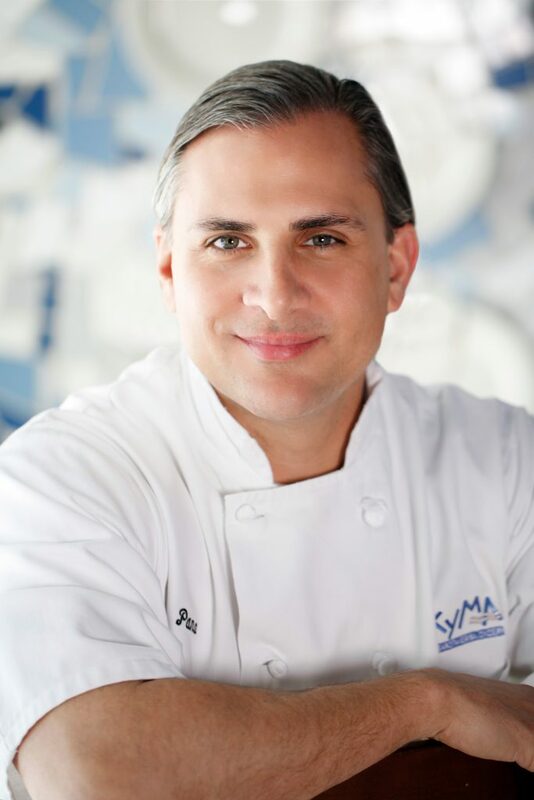 Chef Pano is the executive chef of the acclaimed restaurant, Kyma, and also serves as the Corporate Executive Chef of Buckhead Life Restaurant Group. His cookbook journeys beyond traditional Greek fare, offering twists inspired by his classical French training and even a touch of his Southern roots. Chef Pano has kindly offered to share a recipe from his cookbook in advance of the class. We hope you enjoy this little taste of what is to come! 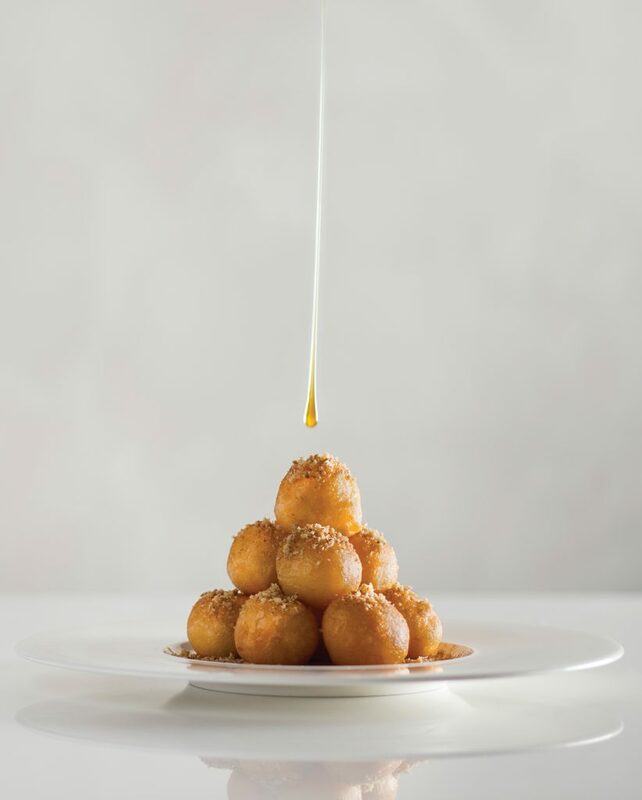 These warm, fluffy, deep-fried balls come covered in Greek honey, chopped walnuts, and cinnamon and melt in the mouth. My father still talks about impatiently waiting for loukoumades as his mother popped them out of the simmering oil. The recipe is easy; if your doughnuts aren’t perfectly round the first time, they’ll still taste great, so keep practicing! In a large bowl, combine the milk with the water and olive oil. In a medium bowl, whisk 1¼ cups (150 g) of the cake flour with the all-purpose flour, yeast, sugar, and salt. Add the dry ingredients to the wet ingredients and whisk until smooth. Cover the bowl with plastic wrap and let the batter rise in a warm place until it triples in size, about 1½ hours. In a small dry skillet, toast the walnuts over medium-high heat, stirring occasionally, until fragrant, about 4 minutes. Finely chop the walnuts. In a large saucepan, heat 2 inches (5 cm) of canola oil to 350ºF (175°C). Gently press down the batter. Add the remaining ¼ cup (30 g) of cake flour and hand mix to incorporate. turning occasionally, until golden brown, 3 to 5 minutes. Using a slotted spoon, transfer to the prepared baking sheet as they’re cooked. Transfer the doughnuts to a large bowl, generously drizzle with honey, and turn to coat. Transfer to plates and dust with cinnamon. Sprinkle with the chopped walnuts and serve immediately. NOTES: Go for excellent honey here; with so few ingredients (dough, honey, nuts, cinnamon), the quality of each makes a huge difference. Be careful not to overmix the batter. Skim the oil constantly when frying. Dipping the tablespoon in water each time helps the batter slide into the oil. MAKE AHEAD: The batter can be prepared through Step 1, pressed down, and refrigerated overnight. WINE Sweet, aromatic Greek Muscat; eaude-vie from Thessaly; or aromatic Malvasia from Monemvasia, Paros, or Crete.